Hamburg (renewablepress) - The Nordex Group is extending its product portfolio with a multi-megawatt machine in the 5 MW class. After the N149/4.0-4.5 and the N133/4.8, the new N149/5.X is the third turbine type in the Delta4000 series. The N149/5.X is designed for moderate and light-wind areas and can also perform optimally at sites with complex requirements. Apart from the classic core markets in Europe, the target markets for the N149/5.X also cover global growth regions such as South Africa, Australia and South America. The N149/5.X is designed for maximum flexibility and can be operated in different modes in the 5 MW range depending on site requirements and customer needs. 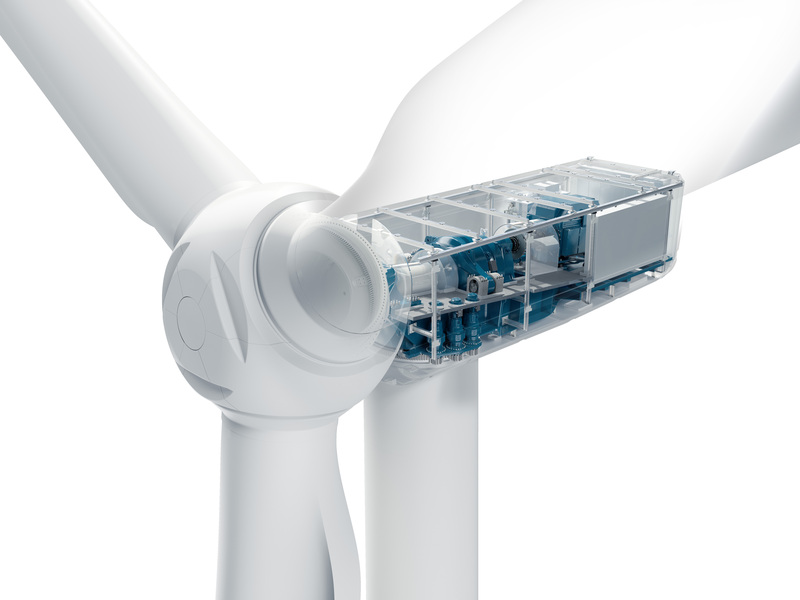 This enables customers to individually configure the wind farm in terms of the output, capacity and lifetime of the turbine, as well as with regard to sound requirements, and thus adapt it ideally to the company's respective business model. The N149/5.X is a logical progression based on the successful approach of a flexible power range in the N149/4.0-4.5. "Thanks to the proven technological basis of the Delta4000 product series we are in a position to continuously develop highly efficient solutions for different wind regimes and different geographical regions and to ensure short lead times for product launches. We have designed the N149/5.X with its maximum flexibility and efficiency to exactly meet the needs of our customers," says José Luis Blanco, CEO Nordex Group. A new and highly efficient gearbox is used and the electrical system of the Delta4000 series scaled up in order to achieve the high power output in the 5 MW range. The efficient electrical system with its double-fed asynchronous generator, which has proved itself in the field for more than two decades, and the partial converter have been retained. The N149/5.X also uses the N149/4.0-4.5 rotor blade, which further increases the modularity of the Delta4000 product series. The exterior dimensions of the nacelle remain unchanged so that proven logistical and installation processes can be used as in the past. The turbine is offered with a wide range of sound power modes in order ensure than even the most demanding noise requirements can be met. For instance, the turbine can be operated with a low sound power level of 104.8dB(A) while still achieving a power output of 5.5 MW. The machine can also be run in higher power modes at sites where sound emission levels are not critical. Different tower options are offered for the N149/5.X - up to a height of 164 metres, depending on the market. The turbine options also include a cold-climate version for operation at temperatures down to -30° C as well as an anti-icing system for rotor blades. The turbine is due to go into series production as of 2021. At the European Wind Energy Conference WindEurope from 2 - 4 April 2019 in Bilbao, Spain, visitors will have the opportunity to obtain detailed information on the N149/5.X.